As a teenager, I read John Le Carre’s The Spy Who Came in From the Cold. Along with the TV show, The Man from U.N.C.L.E., it intrigued me about the world of espionage, especially Cold War espionage. I’m a child of the Cold War. The Cuban Missile Crisis is not mere history to me. I lived it. I was glued to the television news. I had to bring a shoe box to school with a change of underwear, a bar of soap, a toothbrush and toothpaste, and some other odds and ends I don’t remember. We practiced “duck and cover” and trooping to the school’s musty basement, designated a fallout shelter. My father, in the Reserves by then, was told he’d likely be called up and deployed again to Berlin. At the time I didn’t realize if a nuclear exchange had occurred, he would have died quickly. Not so much us. We lived two hours outside of Washington, D.C. We would have survived the initial blast, but radiation poisoning would have gotten us sooner or later. I was ten and a half years old, thinking I wouldn’t make it to eleven. Born David John Moore Cornwell, Le Carre was a pen name he used for writing spy novels while employed by Britain’s Security Service and Secret Intelligence Services. The Spy Who Came in From the Cold, was his third novel, and its success allowed him to leave MI-6 and write full-time. His best-known character is the spy George Smiley, who has appeared in most of his works. He swears none of his work, especially “In From the Cold,” is based on things he experienced. Rather, he says, he was a keen observer of behavior and people. His novels are dark and gritty, the settings dreary places I’d read about. My father had served in West Berlin and talked a bit about the situation there. I watched news reports about the Berlin Wall and about the daring escapes by people from the east to get to the west section of the city. Le Carre’s books were “real” to me. And I loved them. They drew me into the world of intrigue and counterintelligence, not enough to want to be a spy, but enough to want to write stories like Le Carre’s and, later, Alan Furst’s. Le Carre’s newest release is A Legacy of Spies, a sequel of sorts to The Spy Who Came in From the Cold. 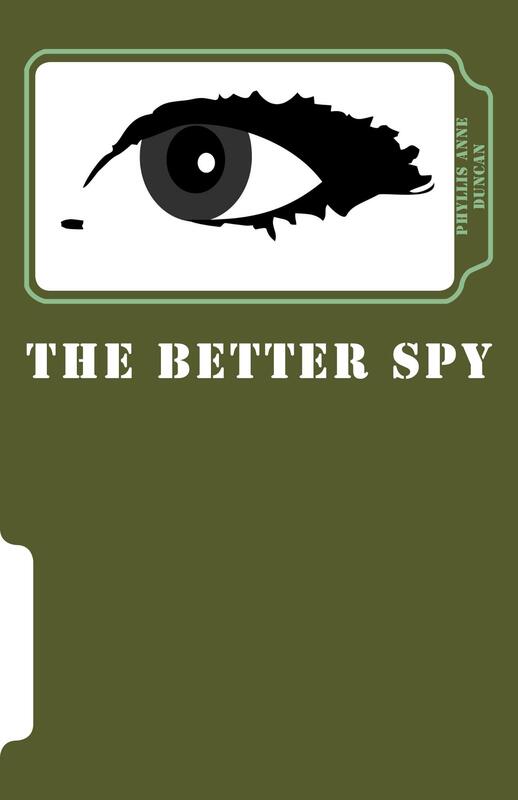 That intrigued me enough to plan on reading A Legacy of Spies, but I decided after almost fifty years, it was time to re-read The Spy Who Came in From the Cold. Oh, the language! The way he describes people and places. He puts you there. In the opening scene, I was at Checkpoint Charlie waiting in the cold and dark for an asset to defect, my tension a direct result of Le Carre’s scene-setting, his subtle revelation of the characters’ emotions. Though you never “see” the main character in that scene, Karl, the defector, when he meets his fate, your heart is pounding. And it’s a writing lesson, too, on how to engage a reader, how to infuse a scene with tension, and how to deliver the punch to the gut. It’s old school espionage, not the gadget-ridden, high-action novels and movies of this century. It’s spy vs. spy, it’s pitting wits against other wits, it’s manipulation and extortion, it’s human not tech, and it’s absolutely thrilling. Do you want to know why I write about spies? Read anything by John Le Carre. P. A. Duncan’s first novel, A War of Deception, is available now on Amazon. This week only, the Kindle version is 99 cents.